Before you say yes to the dress, give your wedding guests a heads-up on the date of the big day. Save-the-Date cards are a fun, informal way to let people know your wedding date. Any other information you have can easily be included too. Save-the-Date cards have become increasingly popular. They’re not meant to replace the wedding invitation. That comes later. This is just a way to casually let people know far enough in advance that they can make plans (or not accidentally make other plans) for that day. Since Save-the-Date cards are usually a flat postcard type of card, it’s easy for guests to attach to a fridge or tack onto a bulletin board. 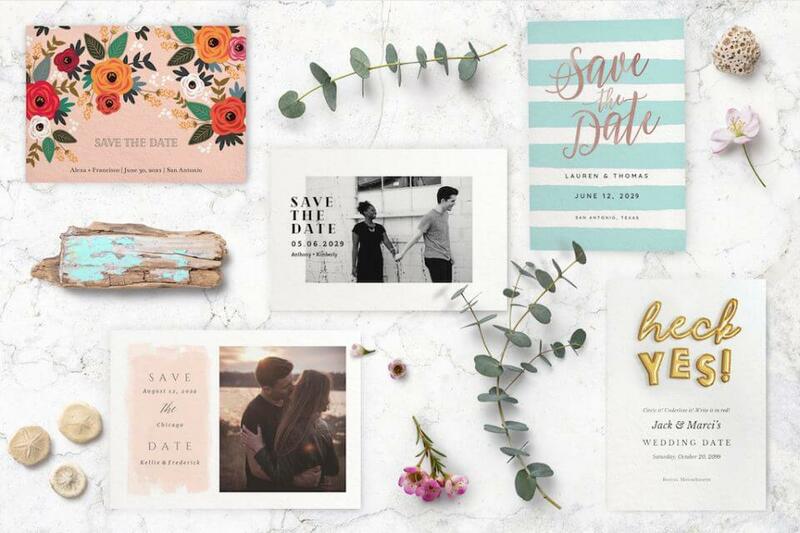 Another benefit of sending Save-the-Date cards is that you won’t have to call or email every friend or relative you have to announce you’ve gotten engaged and that a wedding is in the works. After all, Great Aunt Lucy might not be scrolling through Facebook or Twitter to see that pic of a diamond ring and your happy smiling faces. Send out Save-the-Date cards about six months before the wedding. ﻿If you’re planning a destination wedding where guests will need to make travel and hotel arrangements, you might want to send them out even sooner. Wedding invitations go about two months before the wedding. 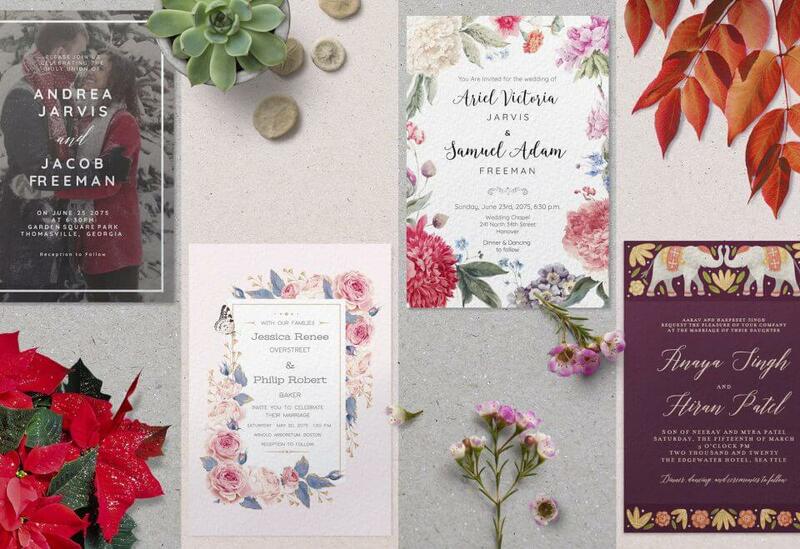 If you send somebody a Save-the-Date card, they should also get a wedding invitation. This is probably the biggest wedding etiquette tip to remember. The Save-the-Date card is not simply an announcement. It means that the person will eventually be receiving an actual invitation (which will contain RSVP cards, specific location and other such information). Use your own photo for a personalized touch. You can also choose from pre-designed templates that you can use as is or customize to your own tastes and personalities. Choose from fancy script, modern fonts, or geometric polygon & florals. While you don’t need to go overboard on paper, it’s best to use a heavy cardstock to print out your Save-the-Date cards. Guests may want to stick it on their refrigerator or tack it to a bulletin board. If th43474c paper is too lightweight, it could rip, tear or fade. A quick tip about paper: You’ll want to choose paper that’s more than 80 lb. stock (basic printer paper is 20 lb.). Don’t go over 160 lb. because it could get stuck in your printer. Cotton cardstock is one of the most popular. It’s strong, durable and has a light textured touch. It gives a clean and classic look and works well with laser printers. With its darker color and textured feel, Kraft cardstock makes a really unique and rustic look. It works great for an outdoor wedding or a country barn dance theme. Keep your design more traditional or insert some humor and personal touches into your Save-the-Date cards. You can use elements from your wedding theme (if you’re already that far along with planning) or memories from a special event, the engagement or your first date. If you’re not sure about the venue, it’s best to leave it off. ﻿Otherwise, you’ll have to send another card or call/email everybody. Less stress is best when it comes to wedding planning. 7) Have Fun When You Design Them! The best tip of all? Have fun! 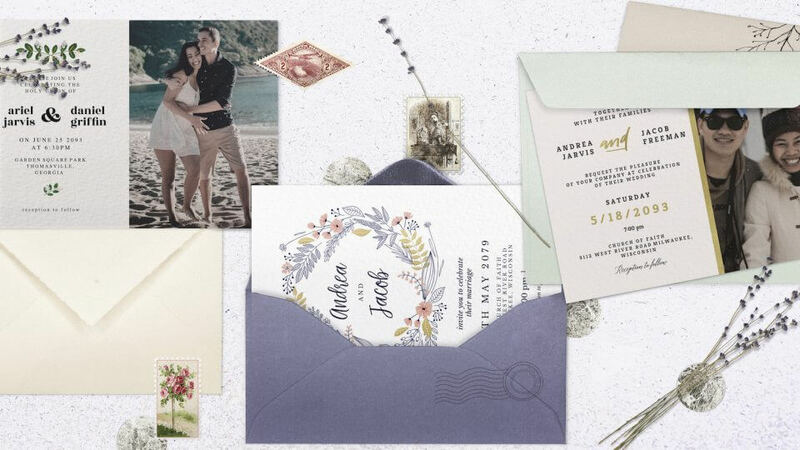 Save-the-Date cards don’t have to match your wedding invitations (or even your wedding theme, for that matter). Let your creativity take its course. Save-the-Date free template cards from Greetings Island allow you to email or print right at home. You can also download the file and take it to a print shop. There’s even an app for that. Check it out for Android and Apple.